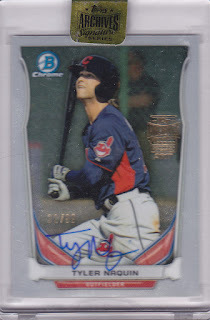 For autograph collectors, scoring a signature of an active player has becoming increasingly difficult with limited access at Major League Baseball stadiums due to seating restrictions, shortened batting practice, and protective netting. Long gone are the days of buying a cheap bleacher seat, arriving to the park early, and going anywhere in the field level seating with the prospect of being able to walk away with a variety of autographs from the superstars to the players on the end of the bench. 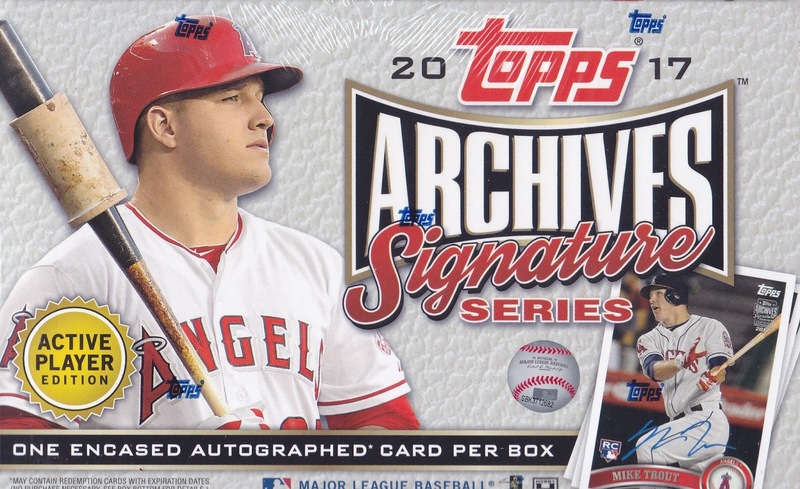 Topps has attempted to stymie this frustration for hobby enthusiasts with the release of 2017 Topps Archives Signature Series. Each single card box carries an encapsulated autograph of one active major league player at the price of what it would cost to attend a game. With a checklist that includes Aaron Judge, Bryce Harper, Ichiro, Kris Bryant, and Mike Trout, many fans would be elated to walk away with their signatures after a purchase of this product. The box provided for this review yielded an autograph of former Cleveland Indians first round pick, Tyler Naquin, which is numbered to a limited edition of 99 cards. Certainly not every player included in this set is of the caliber of the aforementioned group; however, the guarantee that one will walk away a guaranteed signature of an active MLB player is an attractive feature for this product. 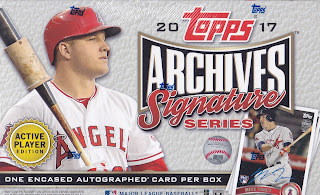 While some might wait until the masses put their hits on the secondary market, most fans would enjoy receiving a box of 2017 Topps Archives Signature Series gift wrapped for the holiday season.